President, adult and mass literacy cds group phalga, Rivers state. As president of the above stated group , I’ve bin able to foster unity amongst my members, as this is paramount to achieving any set goals as a group. As a group we have been able to carry out senstization in two different schools, css Nkpogu and gsss Elekahia, were issues including but not limited to achieving academic excellence, and making wise career choices were talked about, as a group we have been able to set the ball rolling for the printing of over 1000 adult and mass literacy cds branded note books to be dished out to select schools, this books wld be dished out along side textbooks donated by cds members. 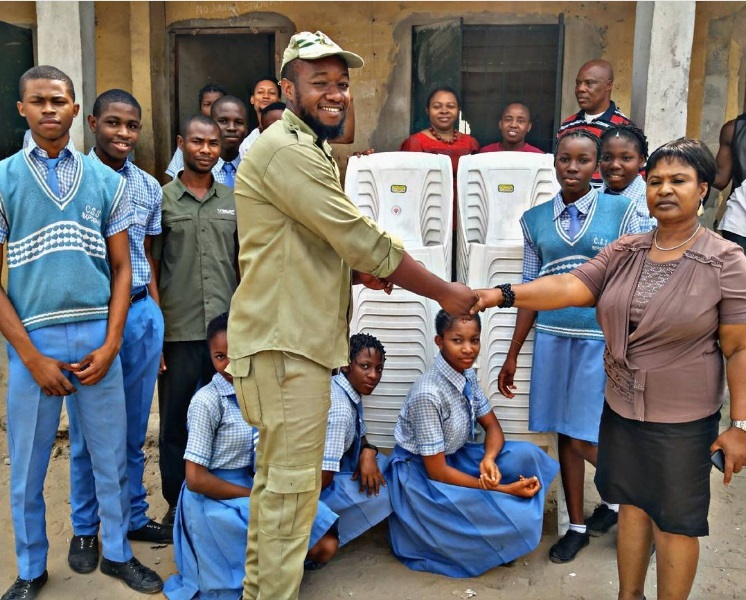 As number 1 member of my cds group i have also strived to be a good ambassador, by carrying out the following individual projects: *Donations of 60 plastic chairs to gsss Elekahia(my ppa) and css nkpogu *Donation of a 4gig, 1terabyte laptop to gsss elekahia to be given to the overall best ss3 student! *offered to pay for waec fees for two hardworking but relatively less priviledged students from the above stated school! 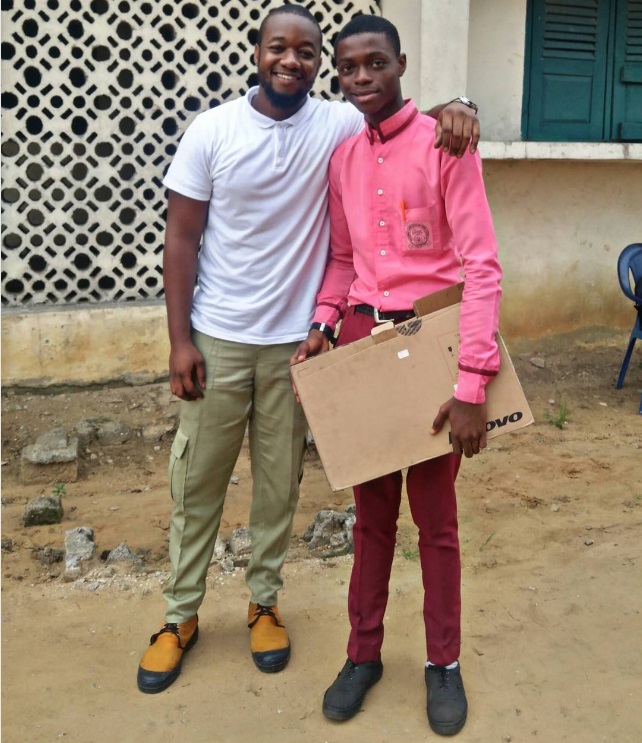 0 Response to "Photos: Corps member Presents A Laptop To The Best Graduating Student At His Place Of Primary Assignment, Donates Chairs"